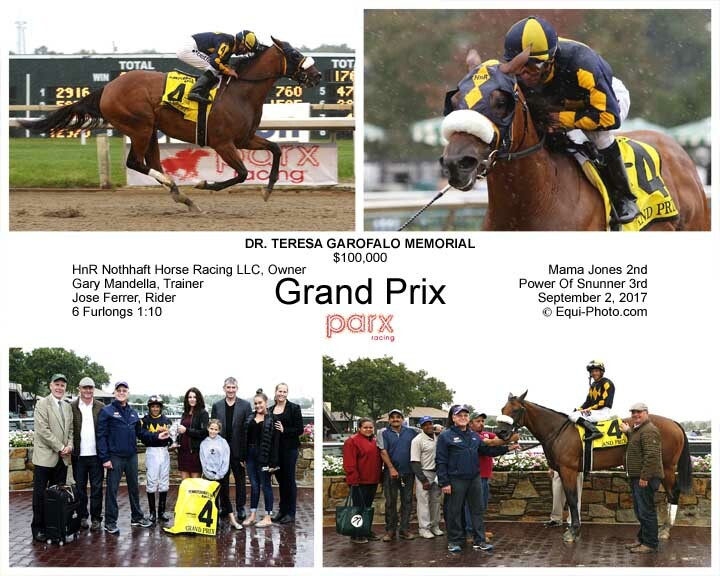 Grand Prix found the fast track at Parx to her liking and won the Garofalo Memorial Stakes wire to wire unchallenged by her older rivals. 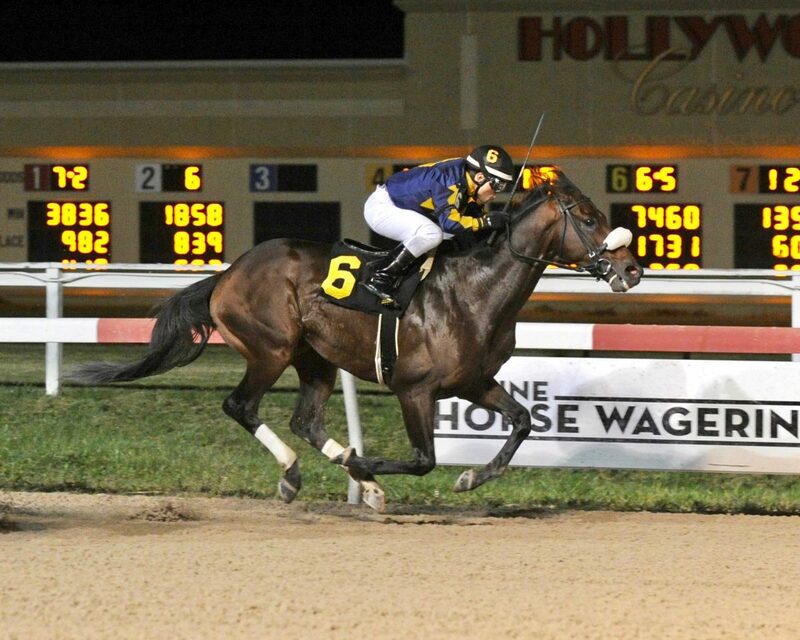 This was her 3rd win in 4 starts since moving from CA to PA to take advantage of the PA_BRED incentive program. 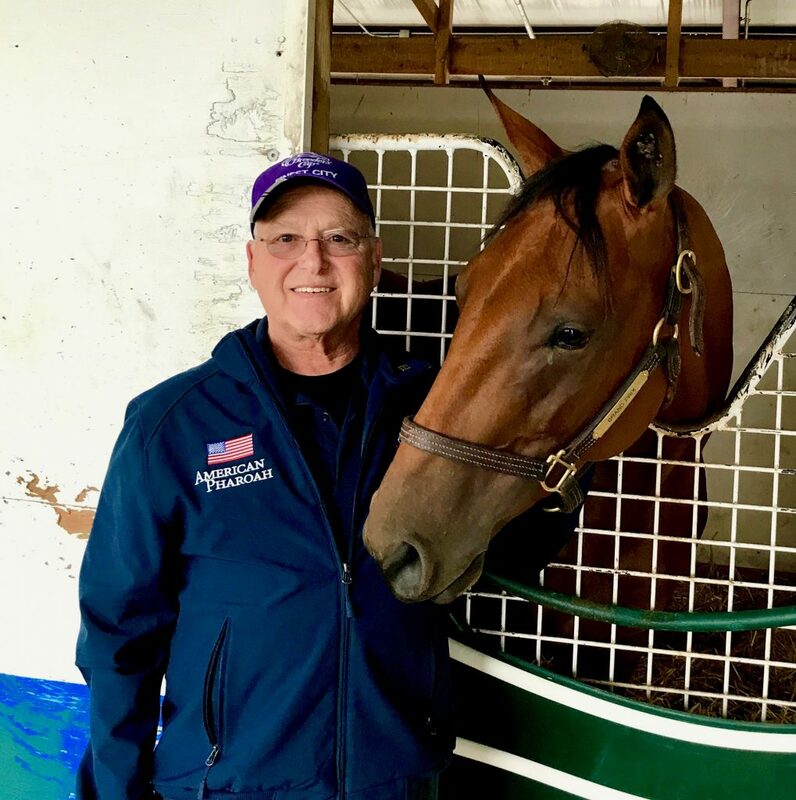 Grand Prix is now in the top 50 of approximately 6500 three year old fillies to race based on 2017 earnings. 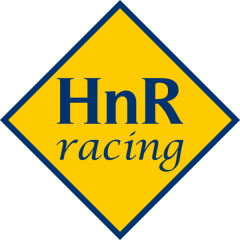 HnR Grand Prix connections are planning a start in a graded stakes next time out. Below is an excellent summary of the race that appeared in the Thoroughbred Daily News on Sept 2nd. 3yo/up, f/m, 6f, 1:10.06, ft. Horse Racing, LLC (PA); T-Gary Mandella; J-Jose C. Ferrer. $60,000. Lifetime Record: 13-4-4-2, $207,750. *1/2 to Finest City (City Zip), Ch. 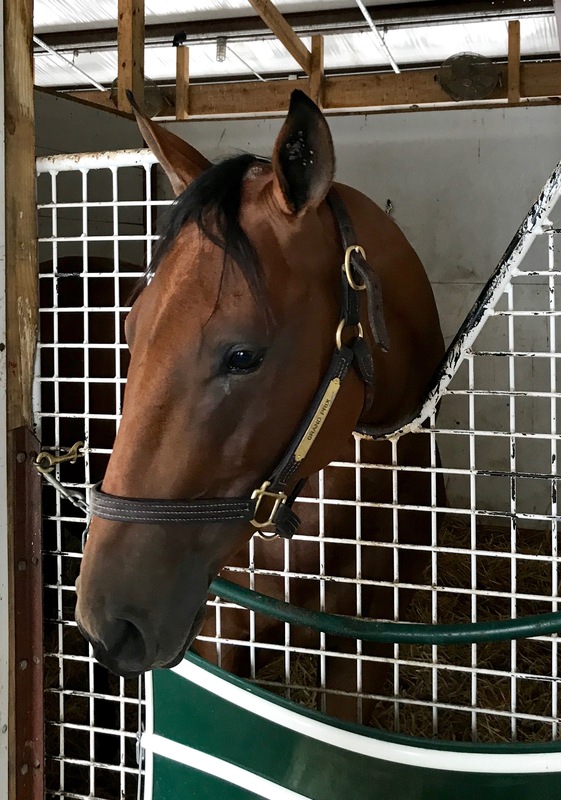 Female Sprinter, GISW, $1,256,394. 3–Power of Snunner, 126, m, 7, Power by Far–Snunner, by Yarrow Brae. O/B-James M. Courtney (PA); T-Timothy C. Kreiser. $13,750. Margins: 1HF, HD, HD. Odds: 2.90, 16.30, 2.40. Also Ran: Discreet Senorita, Hey Braciole, Campeona, Anais. 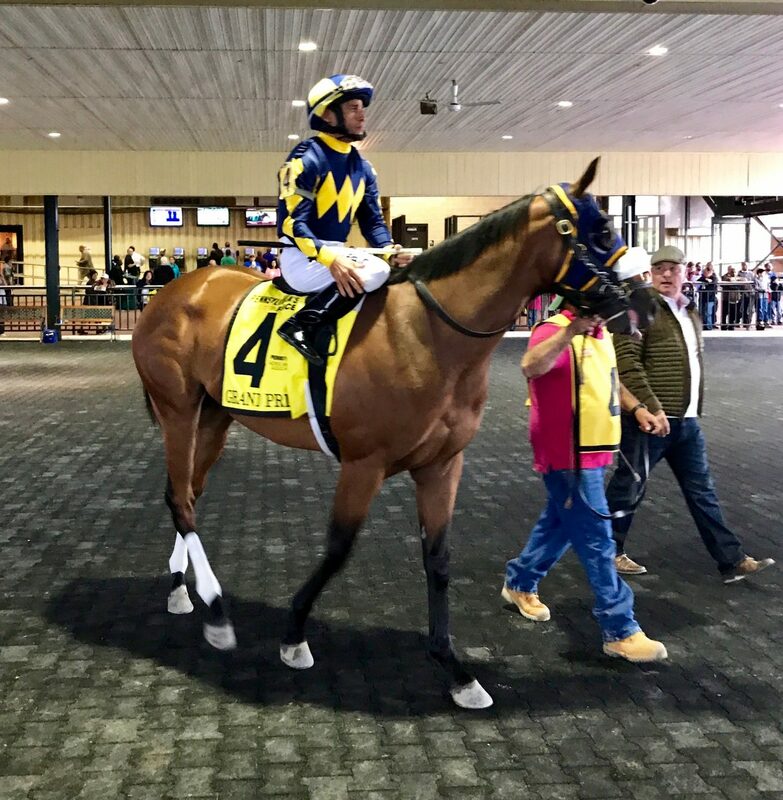 Grand Prix recorded her first career black-type win on the dirt in the New Start S. against state-bred foes at Penn National June 3 before finishing runner-up amongst allowance company going five panels on the grass here June 26. 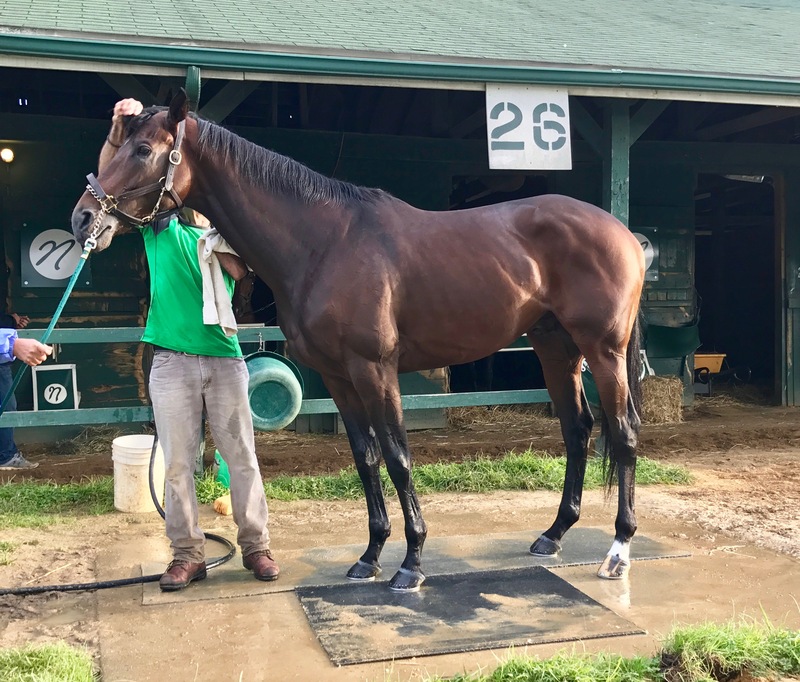 Victorious in the Penn slop July 22, she was given ample support to make it two straight while returning to stakes company. On the engine from the start, the bay steadily increased her advantage through crisp fractions of :21.90 and :44.51, was clear while drifting out in the stretch and kept it going all the way home to best Mama Jones. Favored Discreet Senorita was fourth. 15-year-old mare produced a full-brother to Grand Prix in 2015, prior to aborting the following season. 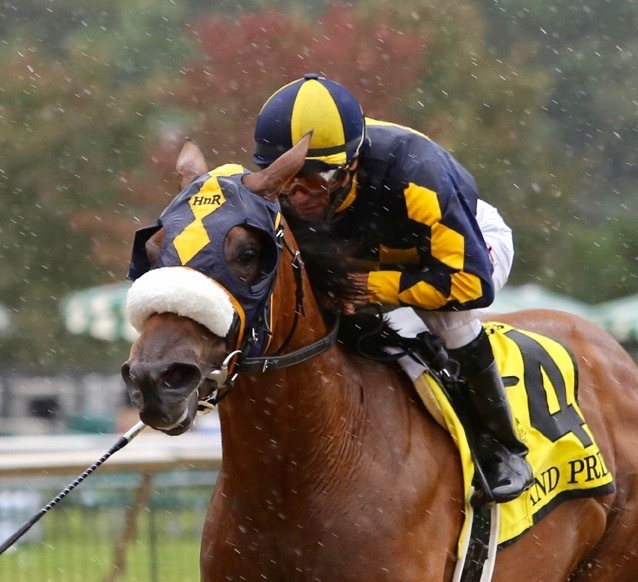 Grand Prix, a 3-year-old daughter of Tale of the Cat, went wire to wire to defeat older Pennsylvania-bred fillies and mares in the $107,750 Teresa Garofalo Memorial Stakes. Grand Prix, the 5-2 third choice in the betting, sprinted clear early in the six-furlong race, then was never seriously challenged while winning by 1 1/2 lengths. She paid $7.80 and was timed in 1:10.06. The race was run in the rain over a fast track. Grand Prix is trained by Gary Mandella, was ridden by Jose Ferrer, and is owned by Hank Nothhaft. 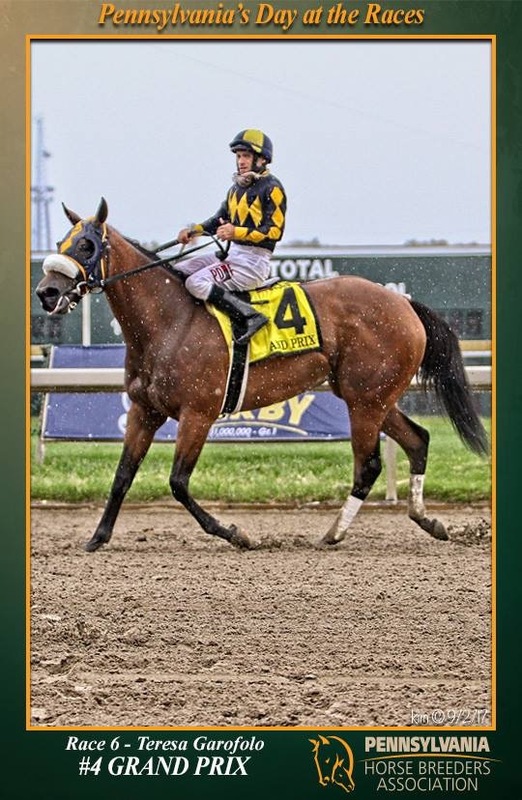 She has been based at Delaware Park and Parx since May. 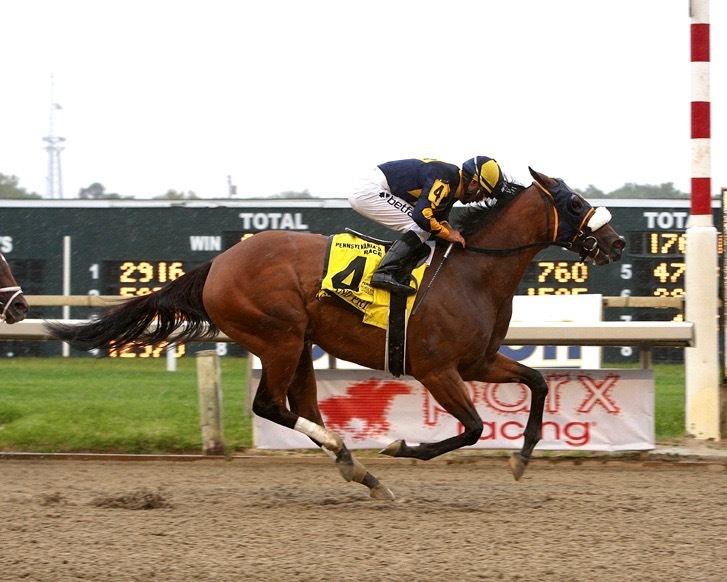 She won the $101,000 New Start Stakes over statebred 3-year-old fillies at Penn National on the Penn Mile card June 3. 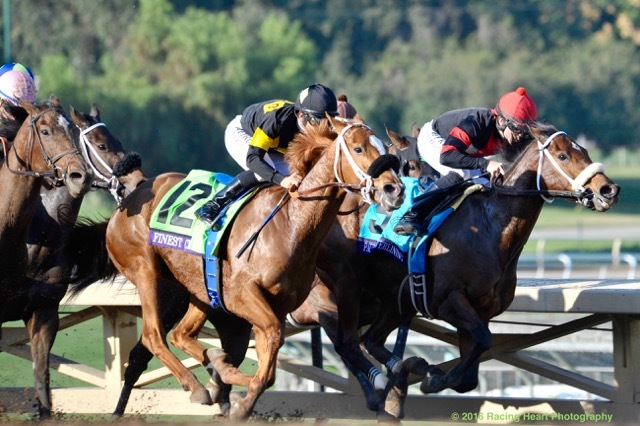 Mama Jones, a 16-1 shot, raced forwardly throughout and held second by a head over the late-running Power of Snunner. Discreet Senorita, the slight 2-1 favorite over Power of Snunner, was bumped and squeezed back at the start. She rallied along the inside into the stretch but was caught late for third by Power of Snunner, who finished a head in front of her. Evergreen Coolmore stalwart Tale of the Cat is the sire of progressive filly Grand Prix (3f Tale of the Cat x Be Envied, by Lemon Drop Kid), who landed another Black type victory when taking out the $107,750 Dr Teresa Garafalo Memorial Stakes at Parx Racing on Saturday . A homebred for HnR Nothhaft Horseracing trained by Gary Mandella, Grand Prix raced clear to win the six furlong sprint by a length and a half. Ultra-consistent, Grand Prix has the overall record of four wins and six placings from 13 starts with prizemoney topping $200,000. 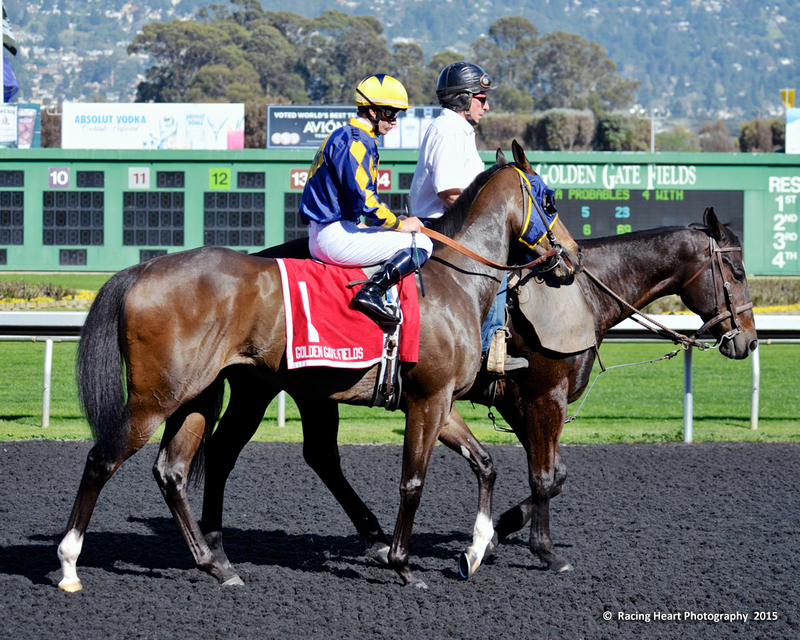 Grand Prix is bred to be good as a half-sister to 2016 Champion US Female Sprinter and winner of the 2016 Grade I Breeders’ Cup Filly & Mare Sprint Finest City. Grand Prix is the third winner from stakes-placed Be Envied, a half-sister to Grade I winner Burning Roma.